Few children choose to set off for boarding school at the tender age of ten: Ugandan student Nannozi Beatrice Kasirye was such a child. Realising that a good education will help her avoid farm work, she was determined to excel in school so that eventually she can get a job in a “nice city with lights”. Currently, she is completing a master-after-master programme in tropical animal health at ITM; a degree that will enable her to work in a laboratory and carry out research. The path to Antwerp has proved to be a long and winding road. "Girls know that education is their only path to self-suffiency. It is their only chance to shape their own fate rather than having the limits of their lives dictated to them by others." But Beatrice Kasirye stood her ground. After graduation she started working for an NGO called BRAC (Building Resources across Communities), on the Livestock and Poultry Project. She was carrying out clinical work and advisory services for farm management practices, like feeding and deworming. This job presented its own challenges and growing a thick skin became a must. Poultry farmers were mostly women and the majority had never worked with a female vet before; each time felt like she was undergoing an exam and Beatrice had to win their trust over and over again. “Musawo aliwa?” (“Where is the vet?”) was a phrase that Beatrice heard all too often, from the mouths of male cattle farmers who almost expected her to fail when handling their animals as the farms were not equipped with a crush (a strongly built stall or cage for holding livestock safely while they are examined). “If this job taught me anything, it was that whatever I do as a vet, I had to give it my utmost best,” reflects Beatrice. 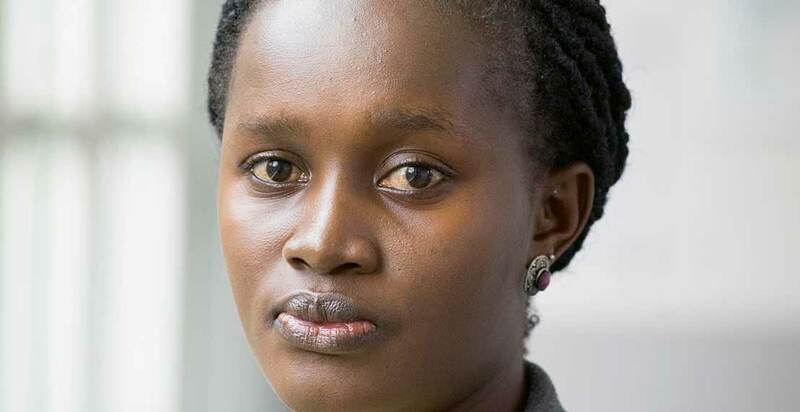 Three years ago Beatrice left the non-profit world and became a state employee: she is currently a vet inspector at Entebbe international airport, the principal airport of Uganda, where a rush job is common daily practice due to strict flight schedules. After having worked in positions that required practicing for some time, she became interested in epidemiology and realised she wanted to delve into research and laboratory work. This, however, required getting a second degree; one that would provide real lab work experience. She allowed herself a year to find a suitable programme that was flexible so that she could keep on working and look after her newborn son; and to find a scholarship that could cover her costs. So she began gathering her papers and saving money. One day, a colleague forwarded her some information on the Master in Tropical Animal Health programme, a collaborative degree between ITM and the University of Pretoria. The course was everything she needed; it combines online and face-to-face training, the latter including hands-on laboratory work. She applied, and in November 2015 she received the good news: her application was successful! So what is Beatrice looking forward to the most? Getting her degree and being reunited with her two-year-old son in January.